Xenadrine has been around for quite some time, but the brand recently gained some positive buzz when a March 2014 edition of the Daily Mail ran a story about the American TV personality, Kim Zolciak, and stated she had just signed on as a Xenadrine brand ambassador. Unfortunately for the brand owners, Iovate Health, most of the product’s past publicity has been of a more negative nature. The Federal Trade Commission dragged the former brand owners (RTC Research & Development) through the courts in 2005 for making false marketing claims and RTC was fined $25 million. Iovate Health bought the company shortly afterwards and their reputation for making false claims is equally appalling—they were fined $5.5 million for making false claims about their Hydtroxycut product. So much for the past claims made for Xenadrene. Let’s take a look at the present claims. If the key ingredients can do it so be it, but it does not necessarily follow that Xenedrine can do it too and there is some doubt as to whether the tests referred to exist. Online searches only turn up more Iovate-owned websites that mention the same tests to support the boasts made for different products. The use of a proprietary blend has given Iovate Health an excuse not to provide inclusion rates, but an on-site statement admits each (2capsule) dose provides 200mg of caffeine, which appears to be the main energy provider. A cup of coffee would provide a similar amount so users are unlikely to be bouncing off the walls. The fat burning blend is similarly disappointing, but a few tests show olive leaf extract may possess limited abilities. New users are advised to commence supplementation on a reduced dosage. Days 1 to 3: One capsule, taken three times a day. Day 4 and beyond: Two capsules, taken three times a day. Capsules should always be taken with water 30 minutes before a meal, but not within 5 hours of bedtime. Eight to 12 weeks of supplementation is advised and the capsules should be used as part of an overall weight management program. The Xenadrine website contains many positive comments that are attributed to past customers. 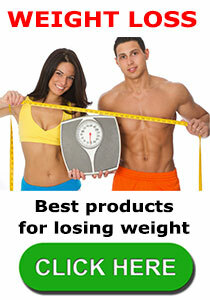 The site also shows some misleading success stories. Nadia from New York lost 36 lbs. the big print informs. The small print states she used the key ingredients in Xenadrine —not Xenadrine —and that she was remunerated for her statement. Independent reviews show a mixed response to the product. Some of the ingredients have known side effects (yohimbe, caffeine) so pregnant and nursing mothers are advised not to use Xenadrene. Anyone who has any existing health issues and/or has any health concerns should seek medical advice before using Xenadrene. All three ingredients are good weight loss providers, but will not be able to fulfill that role if the inclusion rates are too low. Given the manufacturer’s past track record, and some of the misleading tactics used in the present Xenadrene advertising campaign, credibility is a serious issue. Is use of the formulation really likely to produce 7 X more weight loss than dieting alone? Probably not. It’s a pretty tired formulation that lacks inspiration and also appears in several other Iovate Health products that may have helped to burn a few pounds here and there, but failed to set the dieting world alight. A little more thought seems to have gone into the Bonus Pack, and there can be no doubt about the potential benefits that could be provided by garcinia cambogia. The same can be said for green coffee bean extract, and the presence of raspberry ketone could also add a little extra punch, but hard-hitting results will only be attained if the blend inclusion rates are high enough and the presence of the main blend ingredients can only serve to dilute their powers. 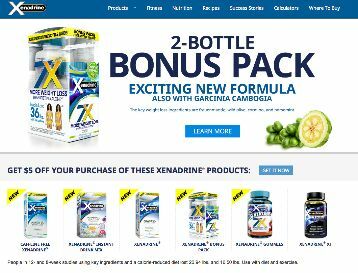 All in all, the Xenadrene website is more impressive than the products it has been created to sell so although the various blends may offer some (limited) results, consumers are advised to look elsewhere. Customers who don’t live near a Walmart store will probably need to buy online. Many online retailers stock the Xenadrine range of products and Amazon provides a further option. 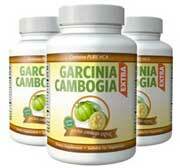 The new formula Xenadrine contains Garcinia Cambogia – Garcinia Cambogia is a highly effective natural fat burner, we recommend a brand called Garcina Extra. Containing not only a high strength Garcinia Cambogia dosage but also Raspberry ketone Garcinia Extra is a real thoroughbred. This entry was posted in Fat Burners and tagged Kim Zolciak Diet Pill, Phaedra Parks Diet Pill, Xenadrine Canada, Xenadrine Negatives, Xenadrine Stockists, Xenadrine Testimonials, Xenadrine Xenadrene, Xenadrine XT by admin. Bookmark the permalink.